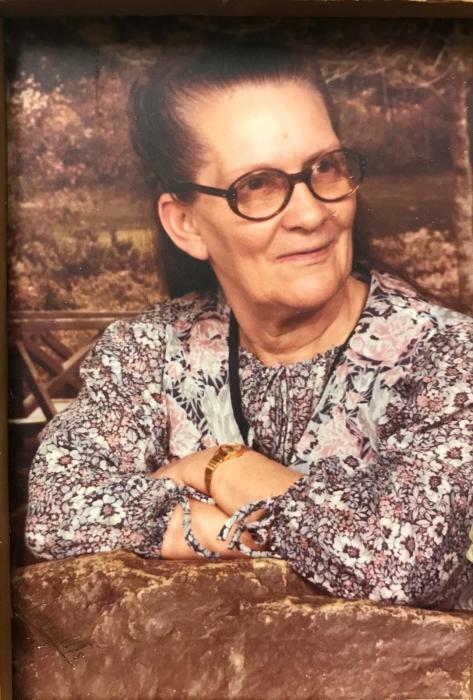 Ruby Mae Baty Ritter, 94, of Folkston, GA went home to be with the Lord on January 20, 2019 at the Life Care Center of Hilliard. She was born in Jacksonville, FL December 2, 1924 to the late Alver Harris Baty and Vassie Baty. She was a faithful member of the Folkston Church of God. Along with her parents, she was preceded in death by her husband: Joseph Leroy Ritter; children: Walter Bland Miller, Alver Ray Miller, Pam Peace, Ronnie Ritter and Tony Ritter; sisters: Mae Bell Thompson, Nettie Mitchell and Joyce Briley; and 2-brothers: Fred Baty and John Henry Baty. She is survived by her children: Linda (Gordon) Hand, Paulette (David) Blystone and Donnie (Linda) Ritter; 17-grandchildren; 34-great grandchildren and 3-great great grandchildren. The family will receive friends Thursday, January 24 at Shepard-Roberson Funeral Home from 6-8 PM. Graveside funeral services will be held Friday, January 25 at 11:00 AM at Edgewood Cemetery in Jacksonville, FL with Rev. Rob Gillis officiating. Condolences may be expressed by signing the guest registry at www.sheparfh.com. Arrangements are under the direction of Shepard-Roberson Funeral Home in Folkston, GA.